The resource person, Chef Vinod Polka is a very experienced and skilled professional bakery chef has been running his bakery since 1977 under the name Polka Pastry shop in Chandigarh. He is a senior bakery faculty at CIHM. He taught how to make the vegetable puffs, other snacks from puffs, garlic bread, decorate chocolate cake, vanilla cake, pineapple pastries, make roses of fondant by different methods. It was a very knowledgeable session. A guest lecture on "INNOVATIVE MODEL MAKING" under the technical project JOY OF ENGINEERING was arranged by Faculty of Engineering and Technology. 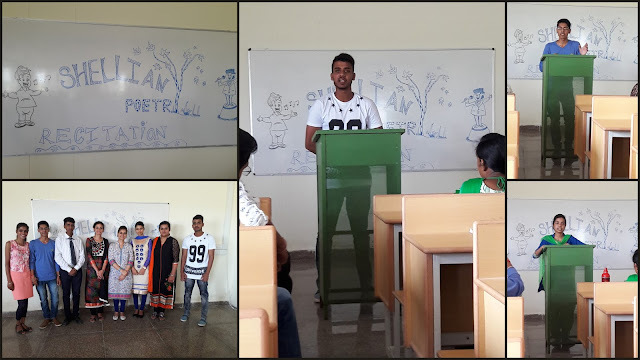 Students from B.Tech -Mechanical Engineering (Semester-1), Mechatronics (Semester-1), Mechanical and Automation Engineering (Semester-1) and ECE (Semester-1) attended this guest lecture. 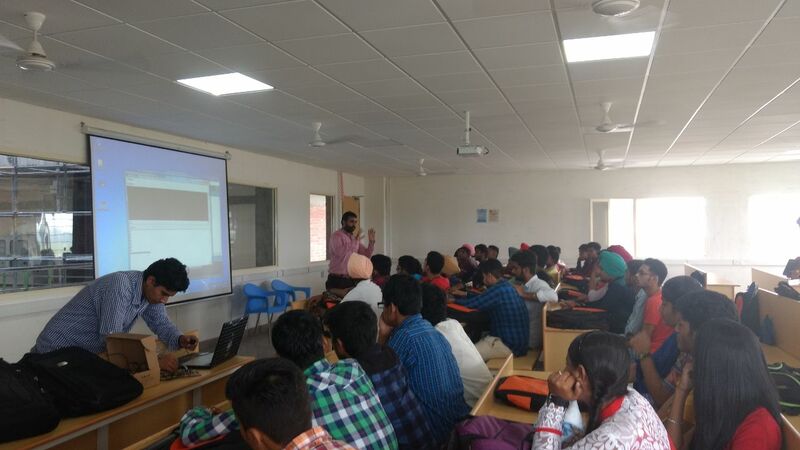 Mr. Karan Arora,CEO,Itronix Solutions, Jalandhar along with Mr. Amardeep Singh (Mechanical Design Engineer at Itronix Solutions),and Mr.Niraj Kumar (Engineer at Itronix Solutions) were the invited experts and they explained the students about basic concepts of automation and its applications in industry and how students can make their unique projects in Web Server based automation. Many live experiments were demonstrated for the students for better understanding on the Aurdino Platform (Hardware-software) which provided the students a real exposure and a vision to learn more in the area of automation and IoT.. The students found this session very interesting and cleared their queries about making projects on automation. More than 60 students of 1st year B.Tech in Mechanical and Automation Engineering of Faculty of Design and Innovation attended a seminar on The Current Industrial Trends and Technologies and The on Growth of New Technologies in the Field of Mechanical, Mechatronics and Automation. The students were familiarized with the concept of automated manufacturing in the form of CNC technology. The students learnt about the CAD, CAM, CAE, RPT, PLMS, Reverse Engineering and the subsequent change which these technologies have brought into the manufacturing sector. The students were also enlightened about the upcoming “Industry 4.0” revolution that will involve technologies like Internet of Things and Artificial Intelligence in developing hybrid manufacturing systems with advanced Human-Robotic Interactions. It was proved fruitful for all the students. 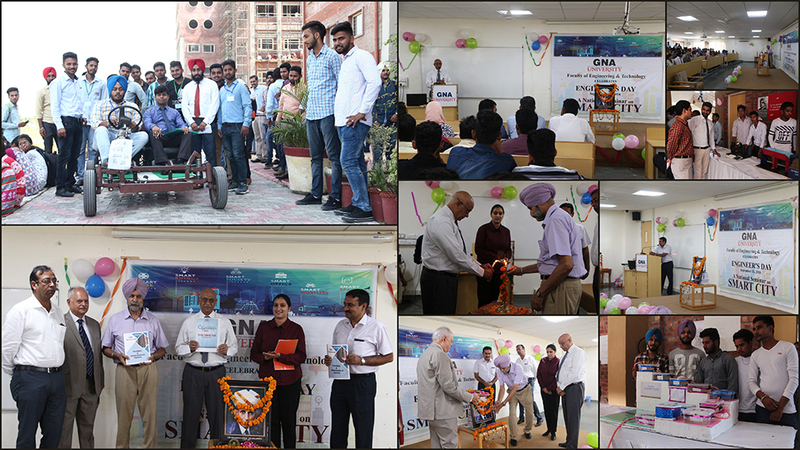 Faculty of Liberal Arts organised a national aptitude test Young India Challenge with the help of Career Launcher at GU.More than 850 students participated in it.Mr Anshul Wadhwa Director Regional Branch (Career Launcher) also paid his kind visit during the conduction of the test. The dramatis personae from Punjabi University staged a Nukkad Natak at GNA University on the dangers involved in drugs consumption and also in its trade. The show was witnessed by a large number of students in the presence of faculty members. The play warned about the outcomes of consuming drugs and other matters of intoxication, the pain it afflicts on its consumers is thousand times greater that the vicarious pleasure it offers. The actors presented different situations where the menace of drugs has consumed the lives of both its takers and traders also. It is like a live bomb which will certainly explode, sooner or later. The only way to escape from it is to stay away from it and also prevent your dear ones to go near it. The message was clearly conveyed to the youth who appreciated the content of the play and acting of the performers who grabbed the attention of the audience with their energetic performance. Have a look at the recent activity Creativity out of Waste, conducted by Faculty of Hospitality on #InternationalHousekeepingweek on September 15, 2016. Students from Faculty of Hospitality, participated in the activity. They prepared models like Burj Khalifa, Lotus Temple,Taj Mahal, Rajasthan Fort, Haveli, Burj Al Arab and many other interesting models. Students showed their creative skills by preparing different models and best out of waste items. The students were given away the prizes and certificates in appreciation for their participation in a wide range of activities and competitions during the International Housekeeping Week. Congratulations to team FoH for successful conduction of International Housekeeping week. A recent visit conducted by Faculty of Film, TV & Media for its students to Punjab Kesari, Jalandhar on September 14, 2016. 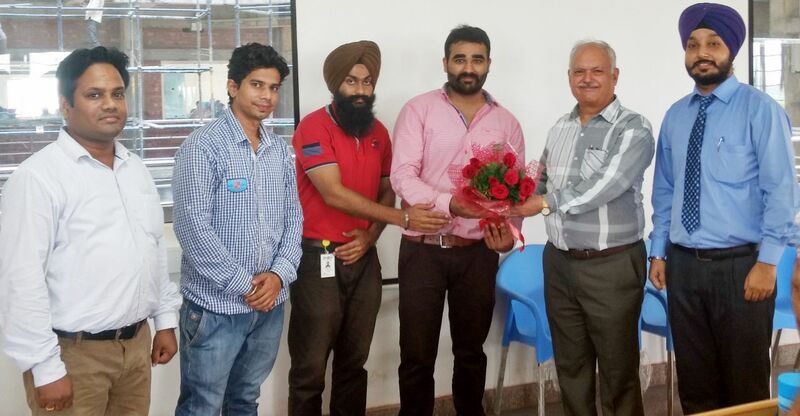 Mr. Sukhdev Singh, Marketing Head of Punjab Kesari, Jalandhar headed the whole visit. 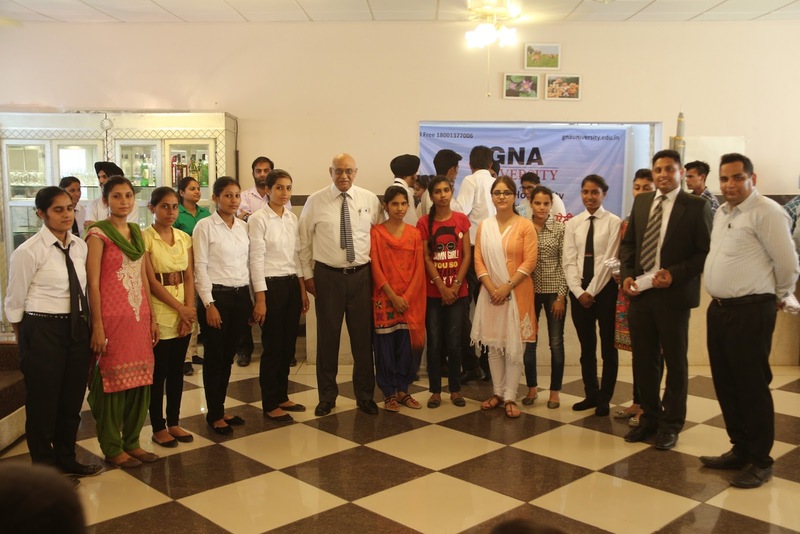 He briefed students about the history of Punjab Kesari and its distribution channels. Students also learnt about designing, editing, composing and translation of language part during this visit. 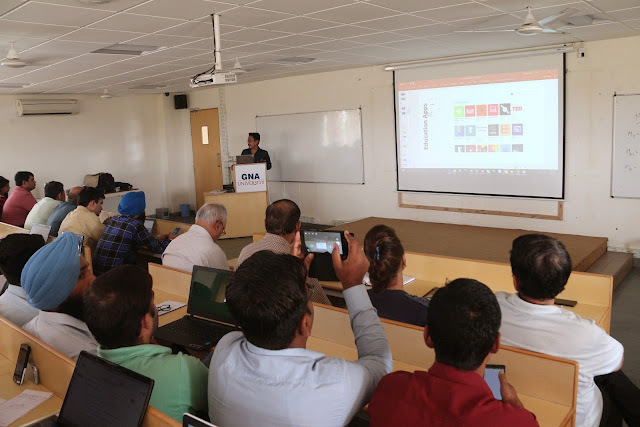 Recently GU organised a workshop on Classroom of the Future Workshop by the adept Microsoft Trainer Mr. Bibhuti Sinha. He delivered a talk on Windows 10 in Education (blend of Win7 and Win 8,Split Screen,Action Center,Task view and New Desktop, Advanced search and Cortana,Edge browser) and 0365 in Education(Online and Offline Office,Productive Tools of 0365). The session proved very fruitful. A glimpse of recent guest lecture conducted by Faculty of Hospitality on “Usage of different types of cleaning agents for different types of surfaces in hotels” on 14th September 2016. The Executive Housekeeper of Hotel Radisson Jalandhar. 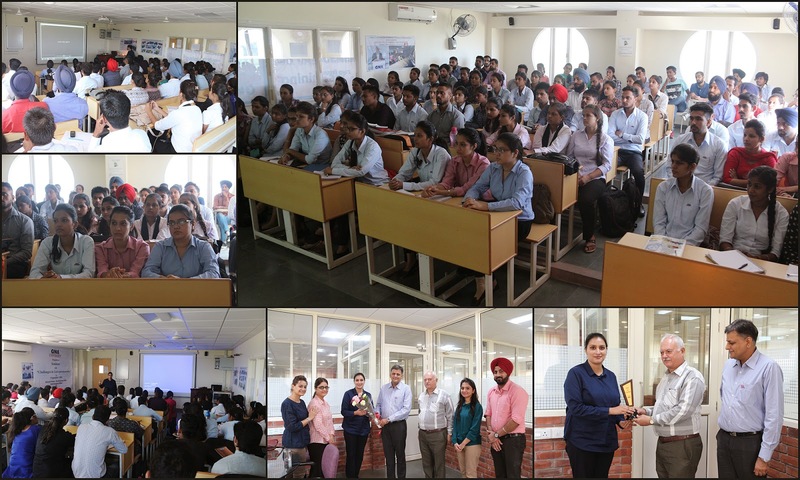 Mr. Dinesh along with Human Resource Manager-Radisson Jalandhar- Mr Rajiv Wadhawan, delivered a talk and also explained the qualities required for joining as a fresher in housekeeping department. He also discussed about the challenges, opportunities and current scenario of today’s hospitality industry and the ways they can grow in housekeeping department . It was a very interactive session. A glimpse of recent students Visit of Faculty of Hospitality to Hotel Fort Klassik (Fortune Park Klassik) Ludhiana. Students of B.Sc. HM Sem 1 and became the part of the visit. 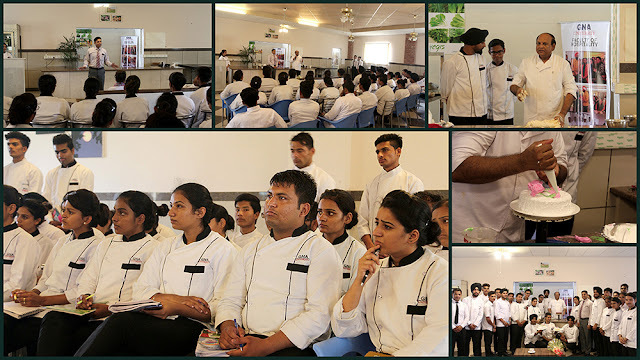 The students visited the major four Departments:- Front Office, House Keeping, Food and Beverage Production and Food and Beverage Service The students were briefed about the Hotel and they also visited Kitchen,Lobby, Laundry, Hotel rooms.Students were also briefed about etiquettes regarding grooming & personality. 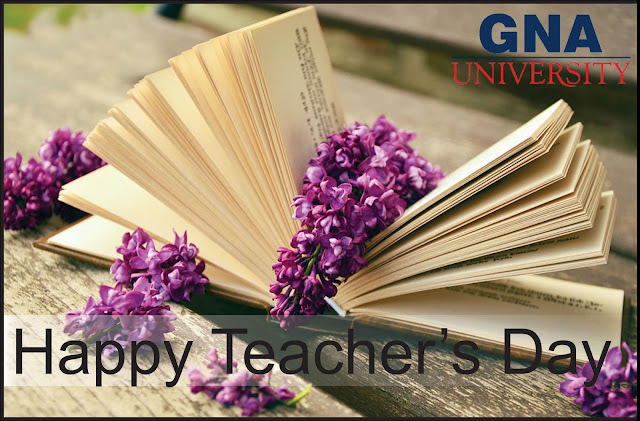 Words can be presented more beautifully when recited in the form of a poem and children enjoy the beauty of expressions, thoughts and feelings. Faculty of Liberal Arts conducted a ‘Shellyian Poetry Recitation Competition’ for all the students of the university to explore and encourage the development of reciting skills, voice modulation and confidence. Three Appreciation Awards were also taken out for the participants who did their best in presenting themselves. 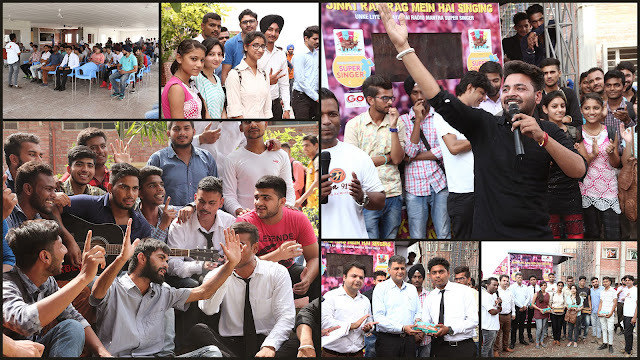 Faculty of Film, TV and Media organized a Super Singing Competition in collaboration with Radio Mantra. The GUites partook in the event with full zeal and gaiety. The Faculty of Liberal Arts organized a seminar on ‘Challenges in Entrepreneurship’. Ms Mandeep Kaur Sidhu,CEO, Simbacart was the resource person. Simbacart is an online/offline handicrafts store based out of Mohali. She enlivened her speech by apprising the students about ways to combat several challenges and roadblocks which were managed by her with sheer determination and focus. It was a great learning experience for the students. The Faculty of Film, Television & Media, on the very first day of the induction of students gave a task, by dividing them into groups, of making a short film (3 min) on their own. 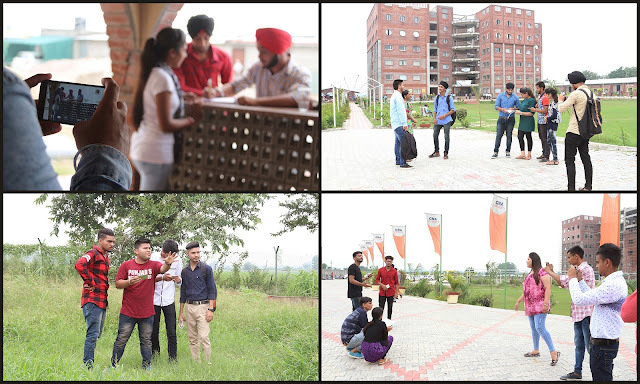 Students were given free hand right from script to final film and were not given any inputs by any faculty / teacher. The Idea was to impart the importance of team work and make maximum mistakes and learn from their mistakes to become accomplished film makers in future. This first attempt by students was called MY FIRST FILM of MFF.